Xtreme Websites Recognized as One of the Top Digital Marketing Agencies In D.C.
KENSINGTON, MD / ACCESSWIRE / July 17, 2017 / Xtreme Websites, the all-inclusive web design and online marketing agency in the DC Metro Area, has been named as one of the, ''Top Digital Marketing Agencies in Washington D.C.'' by Upcity - a company that provides a comprehensive directory of trusted digital marketing service professionals in local markets across the United States. 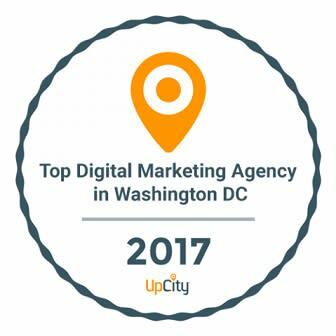 Upcity hand-selects digital marketing agencies for the, ''Top Digital Marketing Agencies in Washington D.C.'' title, based on the value their digital marketing services bring to their local markets, over the phone interview and their overall online branding and reputation across search engines and review sites. ''We certainly don't work for awards; however, it is satisfying when other professionals or agencies notice the value we bring to the marketplace. The reason why we are able to bring so much value to businesses is because at the core of our process is the ability to get to know our client's challenges and goals on a deeper level. This coupled with our proven digital marketing strategies, provide tremendous value and returns to every business that gets to work with us.'' - Says Robert Diaz, President, Xtreme Websites. Xtreme Websites humbly accepted this title by taking comfort of knowing that they provide tangible growth and results to their business clients. They pride themselves on deeply understanding their client's goals, which allows them to build unique digital marketing strategies that produce guaranteed results.